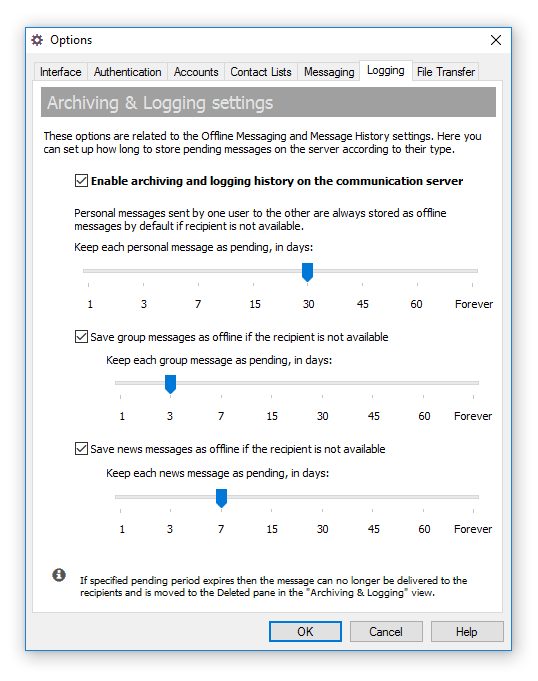 New version 5.3.1 of Bopup Communication Server changed the function that turns off the Message History log. Now it just disables the log for all future messaging and does not delete existing archive. So it is possible to temporary disable the history by keeping existing data on the IM server.